NEW CONSTRUCTION AT A GREAT PRICE!!! So many features for the price it's hard to believe. Features include: Hardwood floors in the great room. Ceramic tile in the kitchen,laundry room, and baths. Soaring ceiling in the great room with triple trey ceiling recessed lighting, gas fireplace with decorative mantle. Attached 2 and 1/2 car garage. New stainless kitchen appliances included(side by side refrigerator, stainless range, and stainless dishwasher). Some exterior features include: coined cornered brick front, and sides. maintenance free vinyl on back of home . Located in a very small development. This home is ready to be called home. This home offers a 1 year builders warranty. Call for a private showing today!!! Direction: Preston to Indian Trail to Pinetree Dr to right into subdivision. 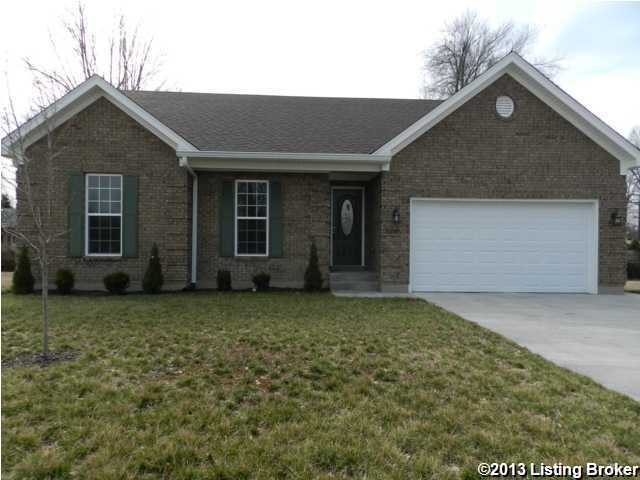 3410 Tarragon Rd, Louisville KY 40219 is a Home, with 3 bedrooms which is recently sold, it has 1,368 sqft, 0 sized lot, and 2 1/2 Car Garage,Attached parking. A comparable Other, has bedrooms and 0 baths, it was built in and is located at and for sale by its owner at $ 0. This home is located in the city of , in zip code , this County Other, it is in the Subdivision, and Cheri Village are nearby neighborhoods.